He said he would also have sued Lapid, but as a sitting lawmaker Lapid has parliamentary immunity. 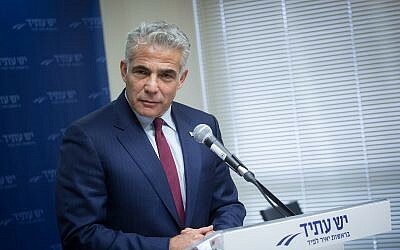 Lapid later said he was removing his immunity and invited the prime minister to sue him. 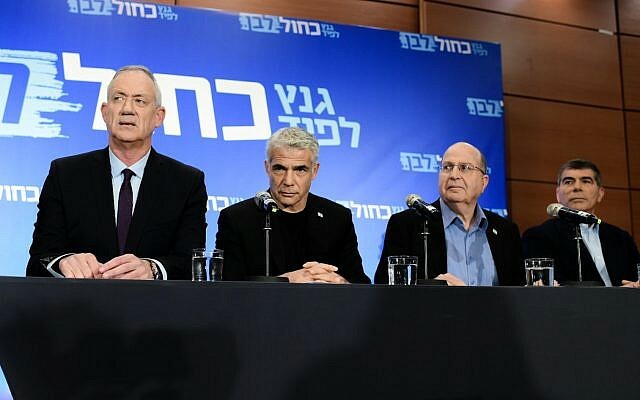 Gantz and Lapid have not used the term “treason” in connection with Netanyahu. 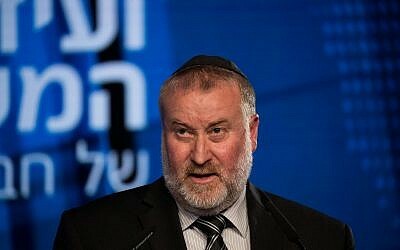 However, Gantz this week called for a state commission of inquiry to probe the so-called submarine affair, after fresh allegations emerged that Netanyahu may have earned millions of shekels off the deal. The claims relate to the revelation that Netanyahu once held shares in Texas-based SeaDrift Coke, a company later acquired by a supplier of ThyssenKrupp, the German shipbuilder at the center of the corruption probe. Opponents have alleged a possible conflict of interest on the part of the premier. His apparent failure to disclose his investment to state authorities in the past is now being examined, with prosecutors said to be considering a criminal probe. 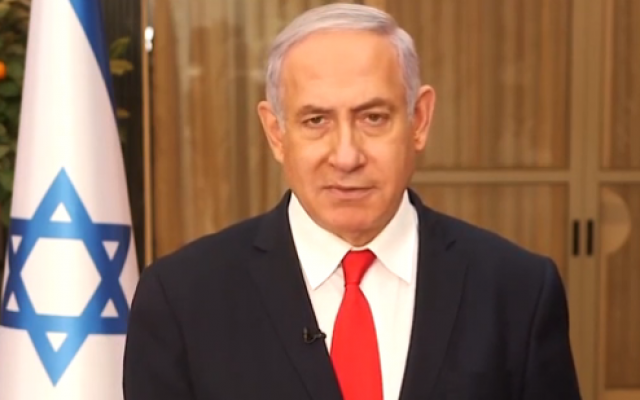 According to a Channel 13 report Thursday, prosecutors suspect Netanyahu misled the State Comptroller’s Office on his financial assets. 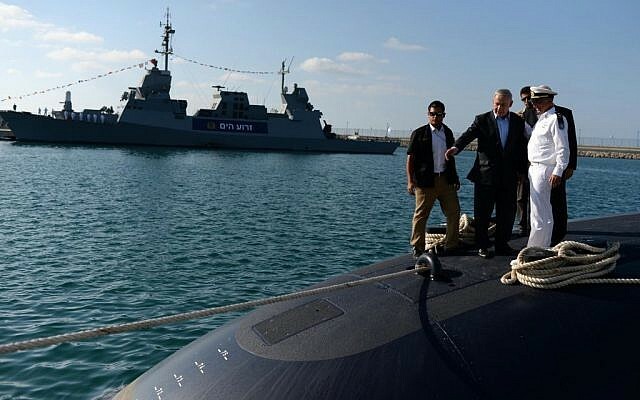 Ya’alon’s charge of treason appears to be directed at a subplot in the affair — Netanyahu’s green-lighting of Germany’s sale of submarines to Egypt, which critics have said potentially puts national security at risk. Lapid has also said in the past that Netanyahu approved the deal between Germany and Egypt, without notifying then-defense minister Moshe Ya’alon. A former top defense official reportedly recently testified that he too was caught off guard by the move. “Here are the facts,” Netanyahu said in Friday’s video. “There is no connection between the shares I bought and sold years ago and the purchase of submarines that took place years later. This purchase was decided upon by the cabinet for security considerations only. On Thursday Channel 12 reported that Netanyahu made a return of over 700 percent on the stocks in SeaDrift, having bought them for $400,000, before selling them in 2010 to his cousin, US businessman Nathan Milikowsky, for $4.3 million. That stark difference has led to speculation of possible impropriety in Netanyahu’s financial dealings. 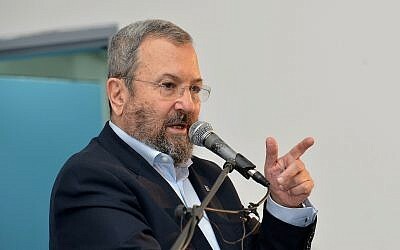 Netanyahu repeated his assertion that Attorney General Avichai Mandelblit had already examined in full his actions and decisions in relation to the Israeli and Egyptian submarines, and had found no wrongdoing. “These were professional decisions made according to national security considerations,” he said.